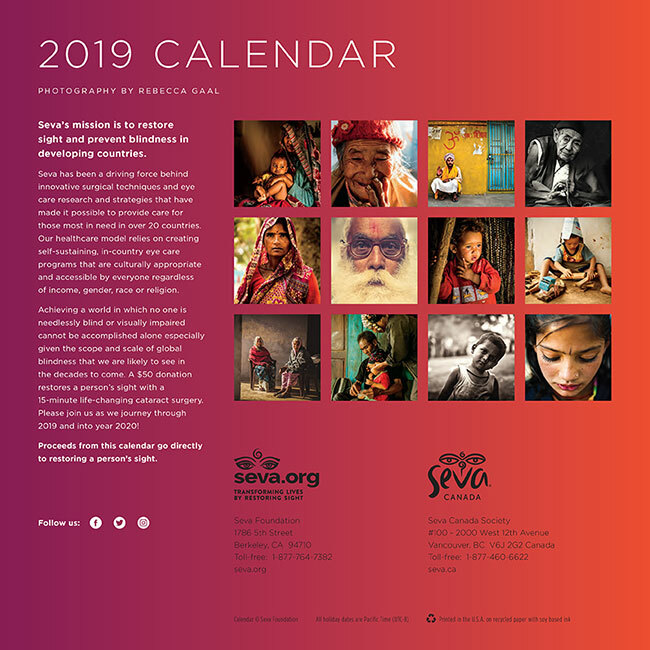 For $15, you can purchase the 2019 Seva Wall Calendar, a 12-month calendar by award-winning international photographer Rebecca Gaal. 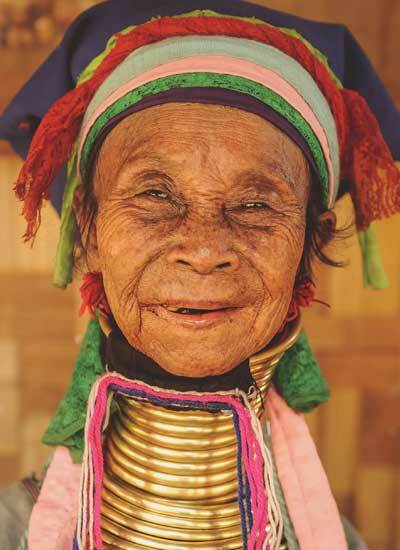 Proceeds from each sale go directly to restoring a person’s sight. 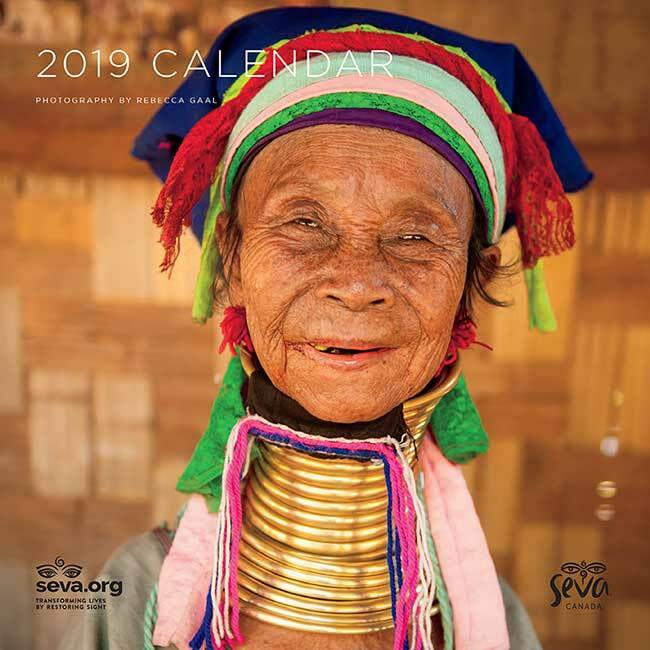 Proceeds from each sale directly support Seva's blindness prevention programs. This is Your Calendar's Front and Back Cover. Click image to enlarge. This is Your Calendar's Cover.